Since I was away a few weeks ago, I’m now WAYYYYY behind on Dear Mom (我的寶貝四千金), SETTV’s currently airing daily drama. I don’t usually watch Taiwanese daily dramas, because they are normally over 70 episodes and they adopt a shoot-as-you-air format. Scenes we’re watching tonight could’ve been shot a day or two ago. Needless to say the writing can be hit and miss. I guess the actors would be pretty tired towards the end and that doesn’t help the viewing experience either. I tried watching the drama that aired before Dear Mom (Love Cheque Charge) but ultimately dropped it after 20 episodes. I like George Hu but not enough to sit through another 50 or so episodes. When news about Dear Mom surfaced though, I thought I had to try a daily again since it’s a story about four sisters and I like three of the male leads (Xiu Jie Kai, Melvin Sia and Jack Lee) so there’s lots of potential, right? Feng Yi (Lu Xue Feng) is a self-sacrificing mother who works tirelessly to support her four grown daughters in their life endeavours. But she has her work cut out for her. An Qing (Jennifer Hong) has quietly ended her marriage in the United States and brought her son back home with her. Yi Wan (Joanne Tseng) is dating a new man who turns out to be the son of a triad leader. 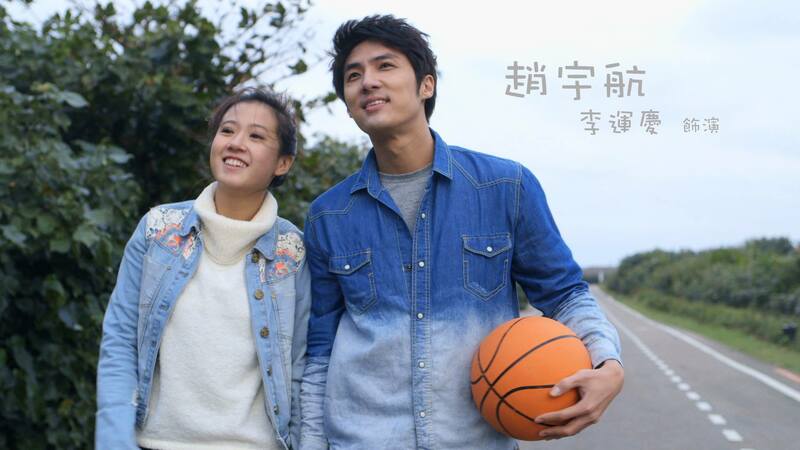 Qing Qing (Albee Huang) is secretly dating a married man, and Xiao Xi (Beatrice Fang) is in love with a school athlete who only thinks of her as one of his many fans. When Feng Yi realizes the crazy situations her daughters have gotten themselves into, can she possibly help them straighten up their lives? Eldest daughter An Qing has always been the jewel of the Li family. Everyone is proud of her achievements. The model daughter who found happiness with a rich husband, had a young son Jerry and lives in the US. Her parents did not have to worry about her because she always excelled in everything she did. Even though she suddenly returned to Taiwan with Jerry to live with her parents again, no one suspected An Qing is actually now divorced with little money from her debt ridden ex-husband. At this stage of the drama, the emphasis is on An Qing’s struggles to keep her divorce a secret. This also means she has to work to pay for her son’s school fees. In one of those ‘only in dramaland’ moments, she finds a job at a gym, whose owner Chen Qi Le has a serious crush on her. By serious I mean he had been looking for her for the past 8 years. It’s borderline creepy if you think about it but since Qi Le is played by Xiu Jie Kai, that is quickly forgotten! So 8 years ago, Qi Le was at a low point of his life – his family business was nearly bankrupt. As he was walking on the street with his coffee, he accidentally bumps into An Qing and spilled coffee on her. He expected her to be furious, but she just smiled and said those words he still remembers today – Tomorrow is another day. Five seemingly innocent words earnt An Qing a stalker. I mean it in a nice way! I think. I really didn’t want to know Qi Le bought loads of business magazines in the hope of finding An Qing on the cover. (She told him she would be a successful business woman one day on the covers of magazines…) Oh and it’s starting to drift into even more scary territory when Qi Le haven’t been able to have a serious relationship for the past 8 years because no other woman compares to An Qing. If anything, Qi Le is pretty good at hiding his fanboy tendencies because he has been nothing but kindness towards An Qing. It’s probably over and above what a ‘normal’ person would do, but given the history, it’s understandable. So far I really like this couple even though there hasn’t been a lot of development. An Qing just found out about Qi Le’s crush on her so I’m curious to see if it makes things awkward between them. Both actors play their roles with ease and even young Jerry is a decent child actor. I am hoping though, since Xiu Jie Kai is playing a gym owner here – why hasn’t he shown some skin yet? We know he’s not shy about showing off! Just look at the photos he post on social media! I have to mention though, the beginning of episode 25 has a really great scene between An Qing and her father. It was really touching when her father realised how much pressure the family placed on An Qing so she no longer felt she could be honest with her family. That scene was definitely the highlight for me from the first 25 episodes. No doubt the ‘star’ couple of this drama right now, leading to a really cute couple name and they’re on the covers of February’s SPop magazine AND iWalker magazine! The beginning of this drama was mostly about this couple. I don’t want to fault them – the innocent, sweet kindergarten teacher (Li Yi Wan) and the mafia boss’ lawyer son (Du Xiao Fei) make an odd couple but unexpectedly cute, give that Xiao Fei has a tough exterior and background. Honestly though, they’re relying a lot on their sweet, innocent, and just fluff in general I feel like their storyline is mostly going around in circles. Instead of Yi Wan avoiding Xiao Fei because of some misunderstanding (and this went on for too many episodes in my view) the writers could’ve given them some actual development. I mean, for a 70 episode drama I really wish writers would take their time to let the couples get to know each other. By the second week, these two were already falling for each other… hrm. Now what can I say about this couple that is nice? Not much. Seriously? The whole premise of them is…wrong. (I really can’t say it in a non-judgemental way because this is an opinion post afterall.) Qing Qing is the workaholic who probably spends more time at work than at home and Ji Kuan is her married boss whom she has feelings for. It has been hinted several times those feelings are possibly mutual. Sure, Ji Kuan’s wife might not care about him that much (If I remember correctly, there was a time when she cancelled their plans to be with her friends or something?) but that doesn’t mean he can start developing something with Qing Qing. To make things worse, I don’t really think there had been ‘real’ development between this couple either. There seems to be a lot of shots of them just staring at each other. I don’t know whether it’s because I’m already prejudiced against this couple so there’s nothing they can possibly do to change my mind, or hrm… I won’t harp on this any further, you get the point. It’s unfortunate that Qing Qing and Ji Kuan is doing nothing for me since I rather ‘like’ Qing Qing. (well, maybe except her love life) I used ‘like’ because she’s not a perfect character but out of all the sisters, she’s the one I identify with the most. She’s level headed, rational but probably not on the best terms with her parents because she works so much. Her mum wants her to get out of the office and get a normal life (boyfriend, start a family etc…) while she just want to succeed in her job. I’m more interested in the family storyline for Qing Qing, plus I really hope there’s another love interest for her because this thing with her boss is probably not going to end well. In the first 25 episodes there has hardly been any development between this couple. Actually, Xiao Xi hardly appeared! All I really know about her, is that as the youngest daughter, she is the most spoiled. A college student, she seemingly spends her days either talking on the phone or pining for her basketball player boyfriend Xi Ming (Yorke Sun). She’s not afraid to declare to the world that she will marry him after college. Xiao Xi seems rather high maintenance and whiny at the moment and has a lot of growing up to do. However, I love the potential (based on the very little we’ve seen so far) between this pair because Yu Hang is the complete opposite to Xiao Xi. As a long time neighbour / family friend of the Li’s, Yu Hang is a college professor (tutor?) who is like an older brother to Xiao Xi, offering her advice and not afraid to tell the truth if she did something wrong. On paper, it is a bit weird that there could a teacher/student element in their relationship (I think he teaches at the college Xiao Xi goes to?) but that hasn’t really been explored yet and I’m not sure whether they will. I look forward to more of their interactions! I used to watch this live so I would do other things when I’m watching. Guess I didn’t feel I had to pay 100% attention to it since there were some draggy (or plain silly) parts. So far though, Dear Mom has enough storylines to cater to everyone’s taste plus it has some likeable leads which really helps. I wrote this mostly focusing on the daughters but of course as this drama is titled Dear MOM, the parents play a significant role in it as well. Maybe I’ll have more to write about them in the next post, because for now I feel that I only ‘know’ them superficially. I can’t say I absolutely love this drama but I do like the leads so it’s definitely a harmless watch. Let’s just hope I can catch up to it now though! Believe it or not, I share your sentiments about YiFei! I recognized very early on that something was off-kilter about this couple and their unrealistic childlike innocence, and eventually I realized the problem was that the show’s initial portrayal of Xiaofei gave little indication that his character would later be developed into a boy at heart (I mean, really—the dude’s a jaded lawyer who hijacks a random stranger’s moped to evade the mafia… how the heck does someone like this evolve into such a 愛情白癡?!). It’s the same situation with Xinping and Bohao in Love Cheque Charge—they’re basically YiFei v0.5 in that they’re super innocent and all, but the premise for their relationship doesn’t quite gel. I don’t get it, but I just go with it. And ultimately, suspension of disbelief has been quite rewarding with YiFei since I’m just in it for the cute! The idea that Qi Le sounds a bit obsessive ‘in theory’ didn’t even cross my mind until his sister described it! His behaviour towards An Qing is just sweet, caring and kind but then I didn’t realise he was holding a torch for her for all these years because of the initial counter. But as you say, this is just ‘in theory’, in (drama) reality Qi Le = Xiu Jie Kai so I still love him haha. Yeah you know about Xiao Fei… initially he didn’t come across as such a newbie in love. He was teasing Yi Wan and had a cheeky smile on his face so I thought he’s not that innocent at all. Xin Ping and Bo Hao though was more convincing. I can see that he would be clueless since he hardly interacted with people and Xin Ping… she just looked super innocent with her big eyes LOL. Definitely looking forward to Xiao Xi & Yu Hang!!! If he is a professor then damn… why didn’t I have teachers who look like that! So that’s why I thought maybe he was a tutor, they could be Masters/PHD students. LOLOLOL about Qing Qing & Ji Kuan… their ‘development’ just seemed to alternate between the staring and the close ups of their hands touching or something like that! I like that the Anqing-Qile subplot isn’t pushing the romance just yet, and with good reason. So even if Qile’s lingering attachment to Anqing is borderline creepy, ultimately all that really matters is how they’re gonna take it from here on out, and so far I’m liking the pace! I definitely don’t get the feeling that it’s slow as snails or going nowhere (there’s a living, breathing purpose for this romance raincheck! )—unlike Qingqing and Jikuan, which is just a sad excuse for a couple. I’ve exactly two truths about them: (1) Jikuan’s a true gentleman, but infidelity is just wrong. (2) #1 holds true until we meet Huiqi… if ever. It irks me that she’s such a ghostly presence. I totally buy Xinping’s and Bohao’s innocence, but what I can’t get behind is how Xinping comes to like Bohao. He has a one-sided crush on her for the longest time, and when he confesses—BAM, mutual affection. Mama say what?! Innocence can only go so far, yenno; just ’cause you’ve never been in love doesn’t mean you’d fall for someone for no apparent reason. SETTV writers really need to step up their game if they plan on continuing this innocent-lovers trend. I want a Yuhang laoshi for myself too. 🙁 But then I’d probably never learn anything in class, ever. LOL. Yeah I think An Qing/Qi Le will end up to be my favourite couple – it feels more developed and ‘realistic’ (at least for dramaland). True, I’d definitely be more willing to learn because it’s him, but I’d also be more distracted BECAUSE IT’S HIM. Heh, Xiaoxi’s totally taking Yuhang for granted! By the way, according to the offical character descriptions, Yu Hang is supposed to be lecturer, not sure if that makes him a professor. I suppose he’s a tutor on the side for Xiao Xi. Too bad the drama is taking a long time to develop the relationships. T_T I did check out one of the eps just to see Melvin’s entrance LOL. Yes they have to fill 70 eps!! But in comparison to the other storylines, Melvin/Joanne’s story is going pretty fast and they have lots of scenes so far…. How many years do they cover in the drama? O_O I feel like they could fit in several years in 70 eps! I think it’s supposed to be ‘real time’? Since they celebrated Christmas and I’d imagine they would do the same for eps aired around Chinese New Year?? In some dramas, 70eps is a lifetime!!! LOL.